Cup Participants: 92 football clubs from England and Wales, consisting of the 20 Premier League clubs and the 72 clubs of The Football League. Greatest scorers in the Competition: Geoff Hurst and Ian Rush, with 49 goals each. 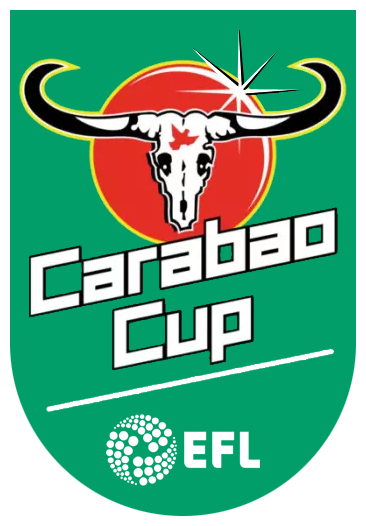 The Football League Cup (currently called The Capital One Cup after its sponsor) is an annual football competition played by clubs from England and Wales, on a single elimination (knockout) basis. The clubs that compete for the cup are the 20 Premier League clubs and the 72 clubs of the Football League. The winners of the Capital One Cup qualify for the UEFA Europa League – unless their league position enables them to qualify for the Champions League (in that case, the spot goes to the highest-placed Premier League Club that hasn't qualified for Europe). The Football League Cup was formed in 1960. Stanley Rous, then secretary of the Football Association, was the first to come up with the idea, as a consolation for the clubs that had been knocked out of the FA Cup; it was later implemented by Alan Hardaker, Secretary of the Football League. The inaugural competition in 1960-61 was won by Aston Villa, who defeated Rotherdam United 3-2. The formation of the Football League Cup had given the League more power when negotiating with FA and UEFA; this led to UEFA providing the Cup winner with a place in the European competition as long as the winner was from the First Division. Tottenham Hotspur were the first team to qualify for European competitions by winning the Cup. In the early 1980s, Liverpool managed to win the cup four consecutive times. From 1985 to 1990, English clubs were banned from European competitions after the Heysel disaster, where a riot caused by Liverpool fans led to the death of 39 spectators. In the early 2000s, the restructuring of the European football system and its competitions led to a change in the European qualification of winners of the Cup; the winner can only qualify to the Europa League. In 2015-16 it was further announced that runners-up would no longer be qualified for Europe if the winner already qualified; and that places in European competitions would be awarded based on the club's position in the league. The most successful club in the Football League Cup to date is Liverpool, with 8 titles (most recently in 2012). Aston Villa and Chelsea are next, with 5 titles each (most recently in 1996 for Aston Villa; and 2015 for Chelsea). Liverpool vs. Chelsea, 2005 – A minute after kick-off, Liverpool Player John Arne Riise scored the first goal; however, this later being balanced by Steven Gerrard's own goal. During extra time, things got worse for Liverpool, with Jerzy Dudek being beat by Didier Drogba and Matja Kezman. Chelsea manager Jose Mourinho strutting down the touchline and mocking Liverpool fans was the icing on the cake. Aston Villa vs. Manchester United, 1994 – The main drama of this game occurred towards its end: with Manchester United seeming sure to lose, Mark Hughes scored a goal in the 83rd minute; however, this hope was vanquished as Dean Saunders of Aston Villa scored a stoppage-time penalty. Manchester City vs. Newcastle United, 1976 – This was a game of a sweet, full-circle victory. The sides were at a draw until Newcastle's Dennis Tueart, who was a Newcastle fan as a child, scored the winning goal right at the start of the second half. Go to the "Top Tournaments" category on the homepage, and choose "Capital One Cup Tickets" from the list, or else search for "Capital One Cup" in the search field until you reach the league's events' menu. Enjoy your Capital One cup Tickets!